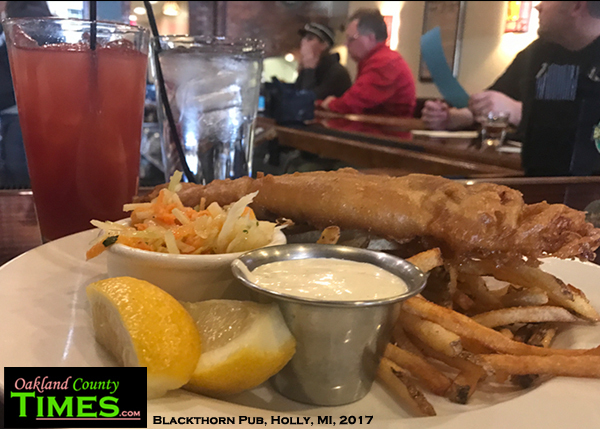 Holly, MI – There was plenty of good cheer on my recent visit to Blackthorn Pub in Downtown Holly. I picked a quiet seat at the end of the bar to get some work done, but soon was chatting with the friendly staff and some folks who’d come in for a pause from shopping. Soon someone they knew came in with their family and before long the place was full of people who knew each other, hopping around the tables and talking about good times and good weather. 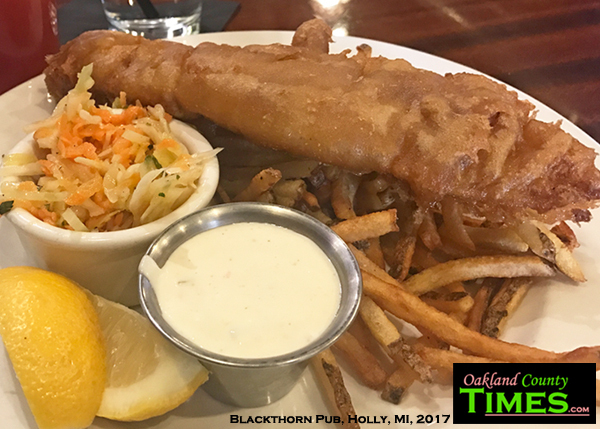 Even if the food were not amazing – which it is – the neighborhood pub atmosphere alone is worth the visit. But, let’s get to that food. For this visit I had the fish and chips. Theirs are Crispy Guinness battered Haddock fillets with vinegary Irish coleslaw, hand cut Blackthorn fries, lemon and buttermilk tartar sauce. The quality of the fish was fantastic and the crispy outer batter was so good that my mouth is watering even now thinking about it. The fries were also amazing. I paired this meal with their house-infused cranberry spiced rum with pineapple juice. Some gentlemen on their work break were kind enough to buy me the second round, so a nice shout-out to them for that. 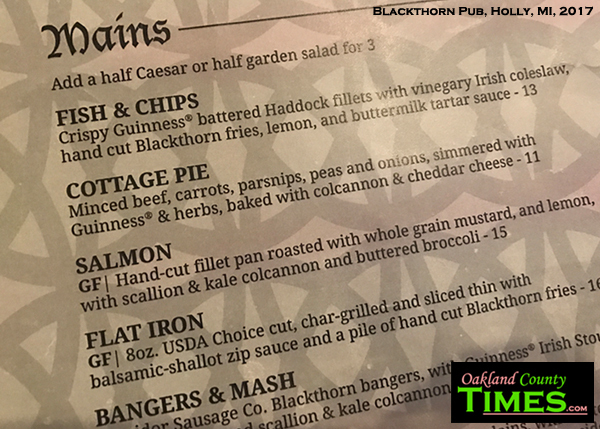 Blackthorn has many other items including burgers, shepherd’s pie, and a beet baguette. Check out more of our Reporter Food columns at http://oaklandcounty115.com/category/food-blogs/.